Thank goodness it's finally December!!! For the last few weeks I have not wanted to TOUCH my Christmas card-making supplies! (It's not as bad as it sounds actually... it's because I've been completely GIDDY over the upcoming Occasions catalog and, of course, Sale-a-Bration!!!) (The most wonderful time of the stampin' year!) Well, pre-order for demos started TODAY and you better believe my order was placed by 4AM thanks to a little mosquito. It sounds weird, but I'm serious. An actual mosquito was buzzing in my ear. I woke up and couldn't get back to sleep, so I thought I'd make the best of it!) Stay tuned for a fun little box opening video next week! I'm so excited!!! While I'm off topic, I might as well mention that if you're NOT a demo yet, there IS a way to see (and better yet ORDER, and best yet GET FOR FREE) products from the upcoming catalogs! Starting today, when you buy the starter kit you can choose items from these catalogs! Oh yeah, TOTALLY worth it! Click here for more info on that. Anyway, so with new products finally making their way to my hands, my Christmas card making has once again taken priority. 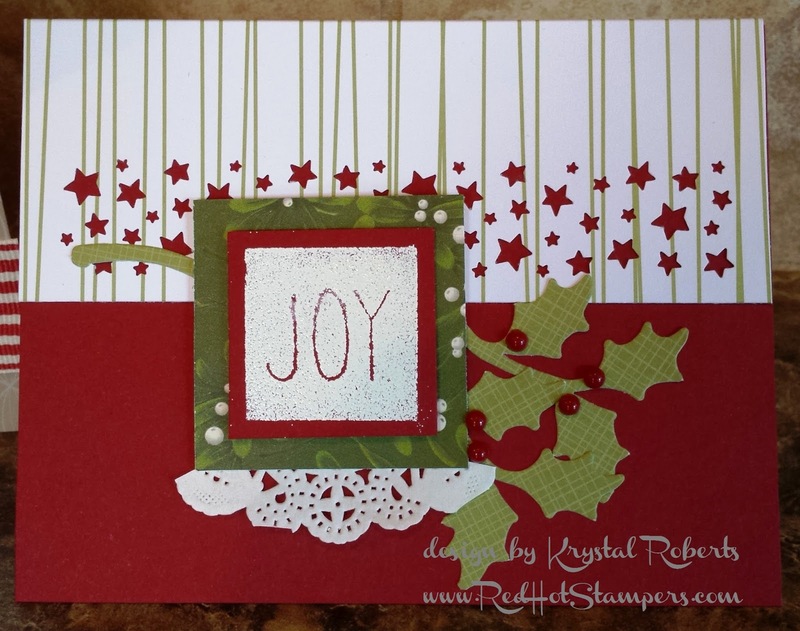 Luckily, I made a BUNCH of Christmas cards throughout the year (including 18 shaker cards from the To You & Yours Kit) so I'm not too far behind. 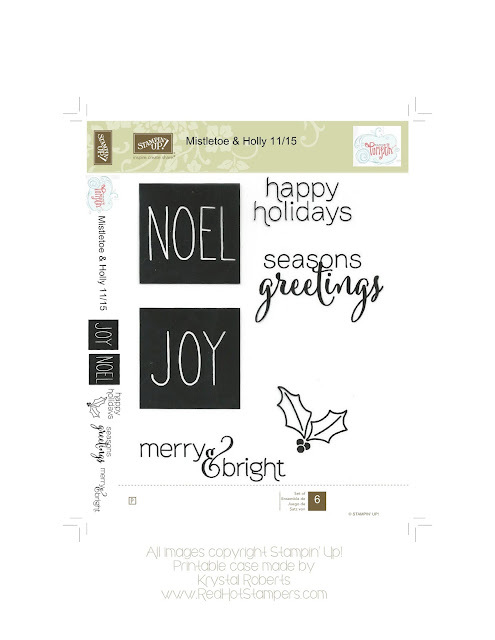 AND luckily, last month's Paper Pumpkin has all kinds of Christmas cuteness inside, INCLUDING a NOEL stamp!!!! It was love at first sight for sure. As usual, the cards made following the included instructions are super cute! I might even finish the box up as designed so I can get my cards mailed out in the next week! But, it WAS super fun to play with other Christmas supplies. Ooooh and a tip on these block images! I love the white ink, but it was a little....juicy. So I inked up the stamp and then used a push pin to quickly wipe out the excess ink of each letter so they were readable. 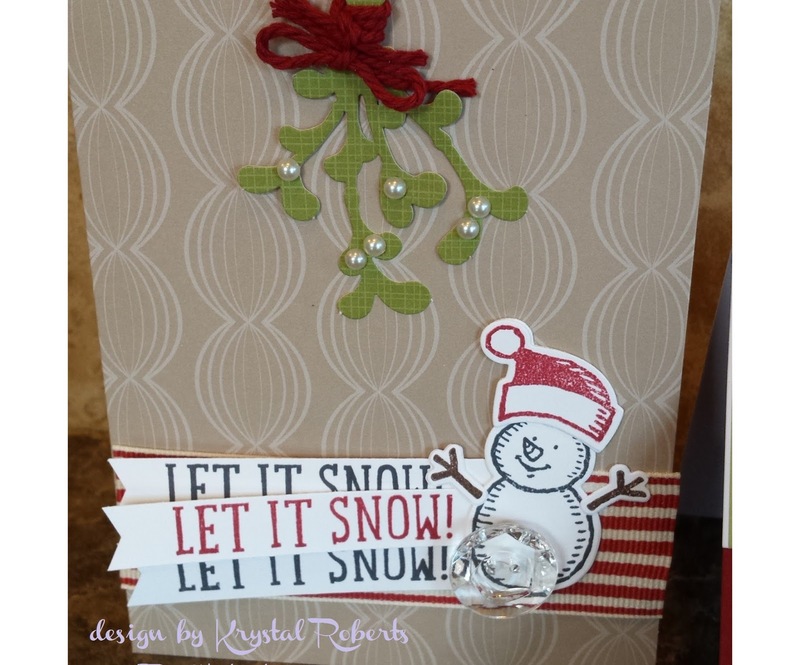 You'll also notice a little scrap of fun Christmas paper from the Home For Christmas Designer Series Paper. Love that stuff! It's scattered all over my desk with other fun Christmas goodies. Speaking of goodies, here's a little treat to make life a little easier: your monthly printable case insert. Don't forget to subscribe by email (top right) to get notified at the exact time I post next month's insert! That will ALSO make your life a little easier. We take what we can get, right? As always, make sure to right click and save as a photo, that will make your printing process so much easier. I can't tell you the specifics of your printer, but you'll just print it as you would a regular full page photo. Feel free to share with your Paper Pumpkin subscribing friends by referring them back to my website as the source for the printable case insert. Thank you! (And if by some strange reason you yourself have not yet subscribed to Paper Pumpkin, subscribe here!) Thanks again for stopping by and I hope you enjoy the magic of December!